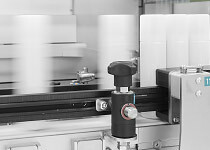 Rely on leading industrial robots that comply with your fit your requirement needs. Configure your palletizer based on a modular concept. Based on your needs, choose from a single-station palletizer to a fully automatic palletizing system.